Bike route "On the Ways of Jonas Biliūnas"
Route: Place of a Manor - Jonas Biliūnas home - Horse Museum - Horse road - Andrioniškis - Anykščiai. The length of the route is 18 km. Let's start the trip with a place of a manor. There are just two old houses left. In 1895, in one of the houses left, a school was established, a famous writer studied here - A. Žukauskas - Vienuolis. Today, in this house Anykščiai Regional Park visitor centre is established. Next to the place of a manor is Anykšta stream.,, which flows out of Rubikiai Lake. In the teritory of a manor stands st. Jonas Nepamokas and st. Ona roofpole. Within this roofpole starts the ensemble of 5 roofpoles, built next to the road to Jonas Biliūnas native land - Niūronys. Close-by there is a church built in 1867. It is called by the name of the russian duke's name - Aleksandras Nevskis. After riding along Jonas Biliūnas street for about 100 metres, we reach narrow gauge rail, which lead to the Lake Rubikiai (to the right) and to the railway station (to the left). Going farther from the rail, we go through the Janydžiai Geomorphologic Reserve, on the left - Anykščiai town's stadium.After going straight for about 100 metres, we turn left, to Niūronys. 250 metres away, on the right side of the road, near the Piestupys stream there is another roofpole with st. Jonas. 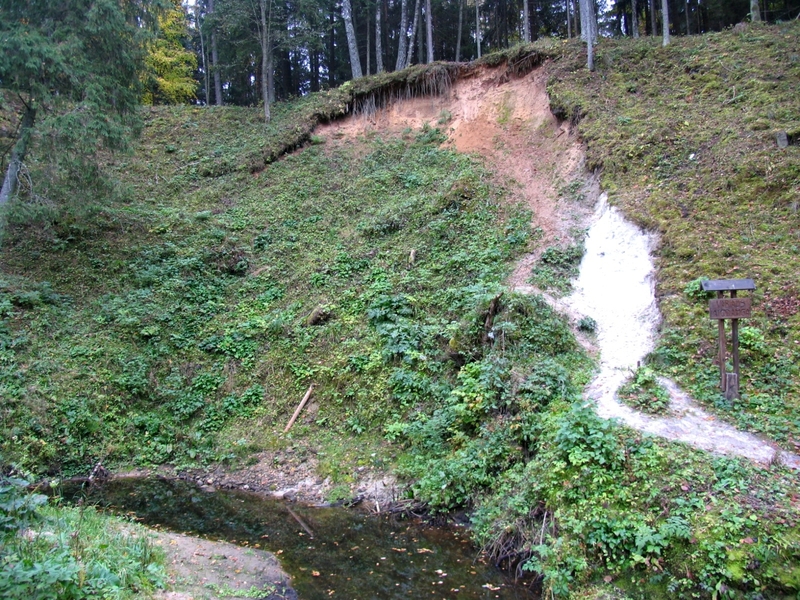 The next roofpole with st. Jonas Baptist's sculpture stands near the Elmė stream, it pool is in Elmė landscape reserve. Going further to the stream of Varius we discover 4 th roofpole with st. Jonas Baptist's sculpture. The stream of Varius is announced to be a hidrographic reserve. Two kilometers away in the meadows stands st. Jonas Nepomukas sculpture. Later on, on the right side of the road we go to Jonas Biliūnas home. 0.5 kilometers away there is Horse Museum. 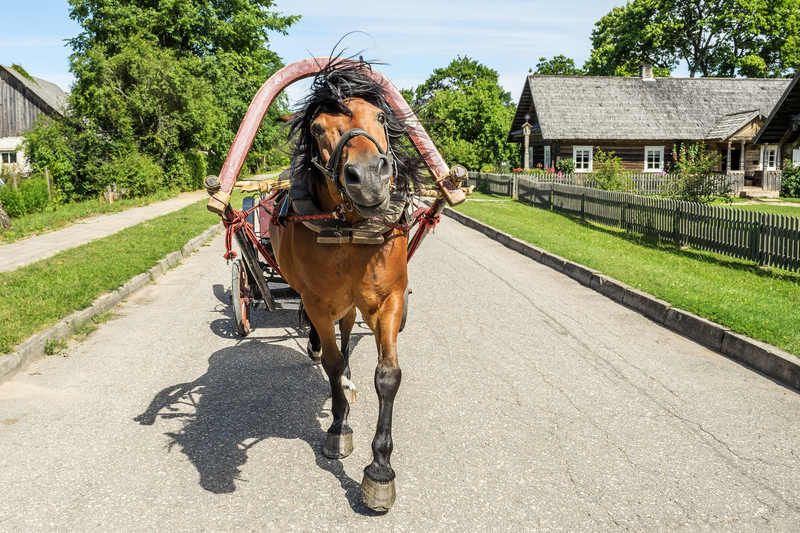 After visiting it we can go to the Exposure of Varius which is 2.2 km away from the Horse Museum. If the Varius exposure is not the object of interest, we go to the left. 300 metres away we will find Niūronys graveyard, where partisans of Anykščiai of 1945 are burried. Going further along the forest we discover a beautiful scenery of Šventoji river. On the left side of the road - Anykščiai Regional Park's established resting place, where we can rest for a little bit. On the right side there is a bridge (built in 1941). Andrioniškis village is just accross the bridge.The most beautiful object in Andrioniškis is its church. Past the church we go back to Anykščiai. Before leaving Andrioniškis we offer you to go left and travel on the open air road in meadows. We go past Latava stream, where the campsite is built. Going back to Anykščiai we go past Sabaliūnai, Migdoliškis and Gyliai villages.